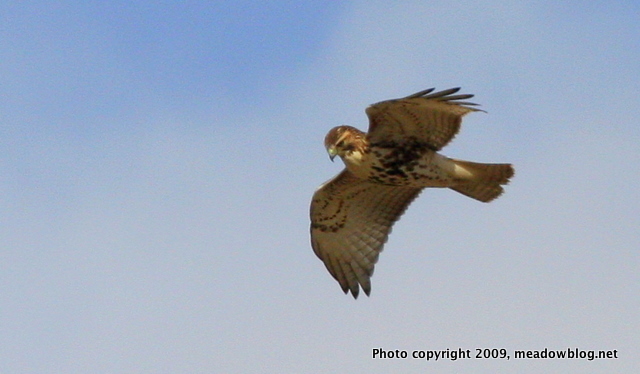 Did a little scouting for the hawk walk this Sunday, mostly on Disposal Road. 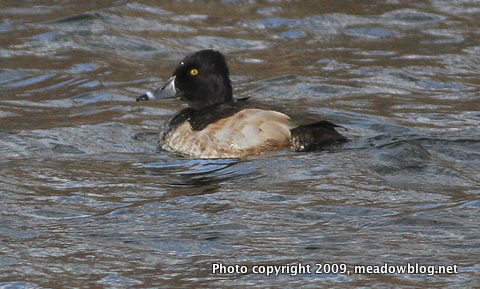 Saw this Ring-necked Duck by the Carillon, along wth a pair of Hooded Mergs, plus a Belted Kingfisher flying by. Raptor-wise, we had three Redtails (prolonged looks of them kiting by Disposal Road), a Northern Harrier and a Turkey Vulture. This Sunday at 10 a.m., the Meadwolands Commission and the Bergen County Audubon Society are hosting a "Hawk Talk and Walk" at DeKorte Park. The indoor part of the program begins at 10 a.m. with a slide show and talk by the NJMC’s Jim Wright in the Meadowlands Environment Center’s Visitor Center. The talk features the raptors that were seen (and photographed) in the Meadowlands last winter – including Snowy Owls, Rough-legged Hawks, Northern Harriers (above), Peregrine Falcons and Bald Eagles. 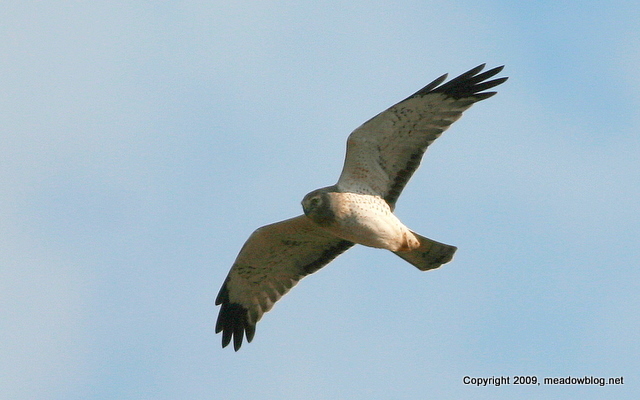 After the program, we will look for raptors at DeKorte and environs — and keep our fingers crossed. Dress for wind and cold, and bring binoculars. 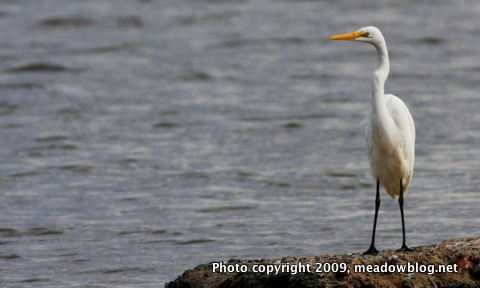 On Thursday, we saw three Great Egrets at Harrier Meadow, and eight yellowlegs in the Shorebird Pool at DeKorte.